Bram Fischer International Airport (also known as Bloemfontein Airport) is the doorway to the City of Roses and the rest of the Free State province. Due to its location near the centre of the country, Bram Fischer International Airport plays a key role in tourism, business travel, and cargo shipping within South Africa. The airport serves over 700,000 passengers annually. Bram Fischer International Airport (IATA code: BFN) plays a vital role in both domestic and international departures. Domestic airlines operating at the airport include South African Express, Airlink, Mango, and CemAir. BFN is a 15-minute drive from the city centre of Bloemfontein. Book your cheap flights to and from Bram Fischer International Airport online! Bram Fischer International Airport (previously known as Bloemfontein Airport) is one of the main airports in South Africa. The airport was renamed to Bram Fischer International Airport in 2012. The main terminal of Bram Fischer International Airport is used for both international and domestic departures and arrivals. The airport offers a top-class experience thanks to major upgrades in the months leading up to the 2010 FIFA World Cup. 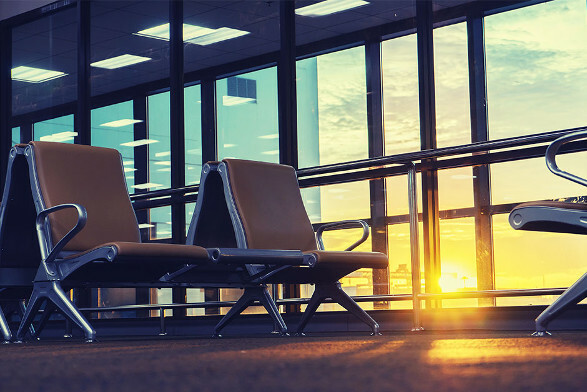 Wi-Fi and a number of services and facilities will ensure a comfortable journey whether you are wiling away the time during a layover or waiting to board a flight. Flights to Bram Fischer International Airport are popular, as the airport plays a key role in tourism and business travel. The shops at Bram Fischer International Airport are modest but offer everything you need for a comfortable layover or wait before boarding your flight. Services include: ATM and cellular shop. Shops at Bram Fischer International Airport include a sweet store and coffee shop. The SA Express Business Lounge is situated in the departures area. The lounge offers a comfortable place to relax and freshen up before boarding a departing flight or between connecting flights. Bram Fischer International Airport also offers several facilities. These include: hotels, conference centre, medical, disabled facilities, Wi-Fi and telephones. This basic 1-star hotel is conveniently situated at Bram Fischer International Airport, approximately 500 metres from the departures building. Amenities include a swimming pool, daily housekeeping, airport shuttle bus, terrace, 24-hour front desk, air conditioning, and laundry service. Complimentary parking and Wi-Fi is available. This guest house is rated 3.5 stars and situated approximately 10 minutes from Bram Fischer International Airport. Some of the amenities of the guest house include air conditioning, garden, conference space, and coffee area. Breakfast is available, as well as complimentary parking and Wi-Fi. This 5-star bed and breakfast is situated in Baysvalley, which is approximately 15 minutes from Bram Fischer International Airport. A number of amenities are available, including a swimming pool, room service, airport shuttle bus, air conditioning, daily housekeeping, laundry service, garden, conference space, and tour assistance. Complimentary parking and Wi-Fi is also available. Foreign currency can be purchased up to 60 days before departing South Africa. Bram Fischer International Airport offers shaded and open parking areas. Lock up garages for long stays and a drop-and-go area are also available. Cash and credit card payments are accepted. Bram Fischer International Airport is located on the outskirts of Bloemfontein, approximately 10 km northeast of central Bloemfontein. Several transport options are available at the airport which will get you wherever you need to be. Some of these include: Car hire, airport shuttle bus, metered taxis, and Uber.